Get your attendees excited about your meeting or event in Alexandria, VA! Tag us and use our hashtag so we can follow along. We’re here to engage with you and help you build excitement through social media before and during your event. See more ways Alexandria will surprise you. See more reasons to extend your stay. 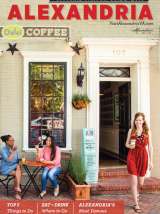 Inspire your followers by sharing these images of Alexandria, VA.